Silver Reed offers the SK155 as its' bulky gauge machine. 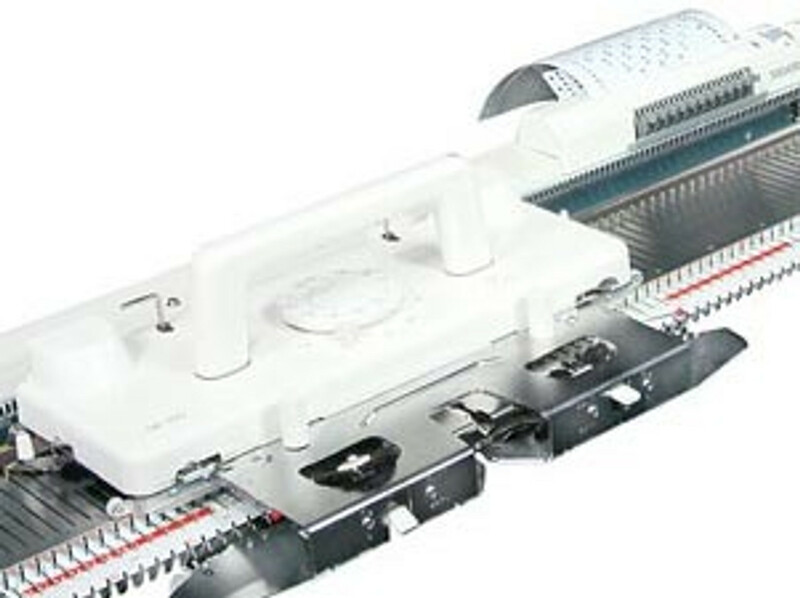 it is a metal bed machine with automatic patterning by a mechanical punch card. It is a real work horse and will last for many years. The SK155 knitting machine is a 9mm machine. Works perfectly with worsted and bulky weight yarns. Thinner yarns will work on this machine, but you will not be able to knit them as tight as you might want. The SK155 machine will knit to 4.5 sts per inch easily though to 3 sts per inch and less on stockinette. Which can be related to using US#7 and larger needles. If a yarn uses a smaller needle, the machine may not be able to get more stitches to inch. If you need more stitches per inch, consider the Silver Reed LK150, a mid-gauge model. All machines are shipped UPS Ground. No returns or exchanges on knitting machines. Due to fraud, we can only ship to your address that the credit card has on file.